“Science that is not effectively communicated is ineffective science. 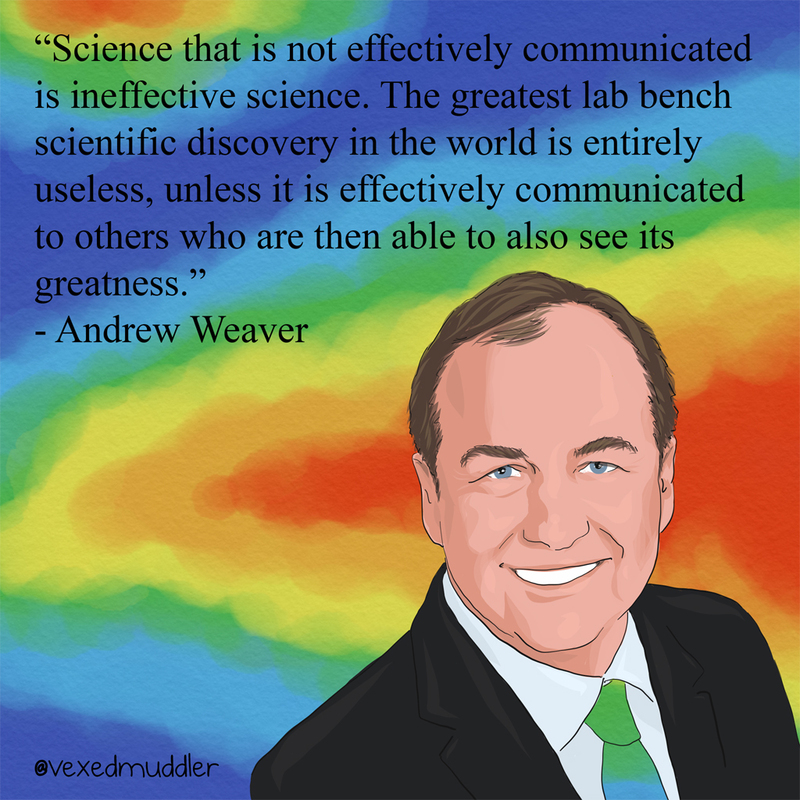 The greatest lab bench scientific discovery in the world is entirely useless, unless it is effectively communicated to others who are then able to also see its greatness.” – Andy Weaver, scientist at the University of Victoria Climate Group. Originally posted on September 18, 2016.